It is the year 2227, and the gigantic interstellar factory ship, Toronto, cruises toward a lifeless planet endowed with a wealth of minerals. While studying the planet in his shuttlecraft, the pilot, Tom Driscoll, unavoidably crash lands. Against all expectations, he survives to discover his craft has landed in a world rich in flora and fauna, and inhabited by intelligent beings. How could the data on the planet of Albion have been so wrong? I tested Albion a bit in the Portingkit and it seems to work just fine on my Nvidia 64om iMac. Some gameplay of the game shown below. Pax Imperia – Eminent Domain for Mac! On July 28, 2015 / Game Port, GOG.com Games, Mac Strategy Games / Comments Off on Pax Imperia – Eminent Domain for Mac! Pax Imperia is added to the Portingkit! Our universe is as vast as you deem it to be. Explore and colonize hundreds of inhabitable worlds in one of the largest game universes ever created. No two games will ever be the same! Once colonies are established, they can either be left alone or carefully managed. I tested Pax Imperia a bit in the Portingkit and it seems to work just fine on my Nvidia 64om iMac. Cities in Motion Collection released on GOG.com! On July 23, 2015 / GOG.com Games, Mac Simulator Games, Native Mac Games / Comments Off on Cities in Motion Collection released on GOG.com! Cities in Motion Collection has been released DRM free on GOG.com. Thats great news! The game is available in 3 flavors: Cities in Motion standalone, or the complete collection, and of course the upgrade pack to upgrade from the stand alone version to the complete collection. Even better news is the game is discounted with 75%!!! So this means only $4,99 for the standalone game and $12,99 for the complete collection! Be fast because the 75% discounts lasts until coming thueseday! Take a city-building game – zoom in on a single aspect, and you’ll find yourself left with what is arguably one of the most engaging takes on managing a city: public transport. That is, in a nutshell, what Cities in Motion is all about. You’re in charge of just your very own branch of the local city government – whether you’re dealing with a bustling metropolis or an aging European city, there’s no reason to worry about the distractions – you have one job: keep the city in motion. It’s a business sim unlike any other in which you’ll have unprecedented focus and tools to plan the most efficient routes for your buses, trams, trains and metro in the largest, busiest cities of the world. Super Power 2 for the Mac! 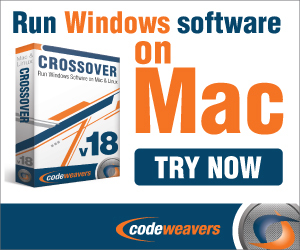 On July 21, 2015 / CrossTies, Game Port, Gamersgate Games, Mac Strategy Games / Comments Off on Super Power 2 for the Mac! Super Power 2 is the only global geopolitical simulation game which allows players to control entire countries. Players control countries in 3 major areas: political, economic and military, but this time, in a beautiful real-time 3D environment. Players build up their own countries and increase their influence in the broader world while competing against sophisticated A.I. Along the way, gamers make use of economic sanctions, political alliances, and military actions to wage their battles. I tested Super Power 2 a bit in the Portingkit and it seems to work just fine on my Nvidia 64om iMac. Adventure Park for the Mac! On July 16, 2015 / Game Port, Gamersgate Games, Mac Simulator Games / Comments Off on Adventure Park for the Mac! Create your own theme park just the way you want it. Let your imagination run wild! Attract visitors to your park with all kinds of different and unusual attractions. Your revenue and the reactions of your visitors help you to expand your park and make it even more attractive. I tested Adventure Park in the Portingkit and works just fine on my Nvidia 64om iMac. The game starts very choppy in the game menu, but when you change the graphical settings and put it to medium and them define it yourself with turning off bloom/blur, then it works very well in my tests on my Nvidia 640M iMac. Enjoy! This is the Gamersgate (=steam serial) version and Portingkit and Crossover will automatically install steam int0 their application so you can simply download the game and play it into Portingkit or Crossover. On July 7, 2015 / GOG.com Games, Mac Adventure Games, Native Mac Games / Comments Off on Samorost2 released for Mac! Samorost2 is super weird. It’s weird all around. The premise is weird – you’re a gnome-like creature living on a tiny tree planet. Two mysterious, angry looking aliens land near your house and capture your dog, there’s little you can do but lift off in your bottle rocket and get him back. The graphics are weird – the universe is a surreal collage of pastel colored textures and photography. The music is so weird, its award winning. Samorost2 is not a complex experience, it features no inventory or dialogue instead opting for a serene set of scenes to be solved and manipulated. Half game, half art, all greatness. The game is now released on GOG.com and has a 25% discount for the first week! This is the sequel to the free Samorost, and this time, you have two parts in this game. The first part is where aliens from another planet come and steal your dog. So Gnome goes off to the alien planet and rescues his dog. In the second part of the game, you have to get back home, after your spaceship crashes. Narnia – Prince Caspian for Mac! On July 7, 2015 / CrossTies, Gamersgate Games, Mac Action Games, Portingkit / Comments Off on Narnia – Prince Caspian for Mac! The Pevensie children – Peter, Susan, Edmond, and Lucy — have been returned to the fantastic alternate world they’d discovered a year earlier in The Lion, the Witch, and the Wardrobe, to find that well over 1,000 years have passed there! I tested the game in the Portingkit and works just fine on my Nvidia 64om iMac. The game does need a good videocard and you even then, you need to put the gfx settings lower (like turning off bloom) and shadows to have the best performance. Enjoy! The Prince Caspian action-adventure game is based directly on Disney’s cinematic interpretation of the second novel in C.S. Lewis’ seven-volume Chronicles of Narnia. As in the Lion, the Witch, and the Wardrobe games, players can take the roles of different characters from the story. More than 20 are available, including the human Pevensies and many native Narnians. Different characters have different special abilities, and the game’s adventure puzzle challenges require players to figure out how to use the right powers in the right places to proceed. In the game’s real-time combat, characters can team up for devastating attacks. Battlefield 2 added to Portingkit! On July 6, 2015 / CrossTies, Game Port, Gamersgate Games, Mac Action Games, Portingkit / Comments Off on Battlefield 2 added to Portingkit! On request Battlefield 2 Complete (Gamersgate version) is added to the Portingkit. I checked the game and Singleplayer works like a charm in my tests (with a couple of gfx settings changes in video settings of the game which is mentioned in the game description of the game in the Portingkit). The online play option doesn’t work, but you should be still able to play multiplayer via LAN or the internet in combination with Hamachi. Star Trek: Starfleet Command Gold Edition for Mac! On July 5, 2015 / Game Port, GOG.com Games, Mac Strategy Games / Comments Off on Star Trek: Starfleet Command Gold Edition for Mac! Command over 50 unique campaign missions generated by the Dynaverse engine, or reenact classic scenarios from the original series. Gold Edition features an additional 3 new Federation missions, 3 new Klingon missions, 10 new Hydran missions 7 new Gorn missions, 3 new Romulan missions, and more! I tested the game in the Portingkit and works just fine on even on my Intel HD 4000 Macbook air. Based on a strategy board game, Star Fleet Battles, Star Trek™: Starfleet Command Gold Edition puts you in the captain’s chair of a frigate. Each successful mission gains you prestige and furthers your career. Experience a 30 year campaign that can take you as far as becoming a Rear Admiral in control of a task force including Destroyers, Heavy Cruisers, and Dreadnoughts. Pajama Sam Vol. 1 & Pajama Sam Vol. 2, an adventure series for the young, is available now for Windows, Mac OS X and Linux – DRM-free on GOG.com with a 40% launch discount! Pajama Sam Vol. 1 and Pajama Sam Vol. 2 is a collection of simple and silly point and click adventures for the young. You are Pajama Sam, a turquoise boy with a heart of gold. Pajama Sam is equal parts point and click adventure and educational game. Whether you’re a connoisseur of great animation, story and unique turn of the century adventure game art – or you’re looking for a great pastime for your children – this is a cult series you just can’t miss. Thanks to a level of randomization, each playthrough will be a little different – so conquer your fear of the dark, become comfortable with thunderstorms, and learn the importance of eating right – it’s all here in a package you can’t not love.